WILLEMSTAD - The hurricane season FOR 2014 began today. The season will last until November. On December 13, 2013, Tropical Storm Risk (TSR), a public consortium consisting of experts on insurance, risk management, and seasonal climate forecasting at University College London, issued their first outlook on seasonal hurricane activity during the 2014 season. In their report, the organization called for a near-normal year, with 14 (±4) tropical storms, 6 (±3) hurricanes, 3 (±2) intense hurricanes, and a cumulative ACE index of 106 (±58) units. The basis for such included slightly stronger than normal trade winds and slightly warmer than normal sea surface temperatures across the Caribbean Sea and tropical North Atlantic. A few months later, on March 24, 2014, Weather Services International (WSI), a subsidiary company of The Weather Channel, released their first outlook, calling for 11 named storms, 5 hurricanes, and 2 major hurricanes. Two factors—cooler-than-average waters in the eastern Atlantic, and the likelihood of an El Niño developing during the summer of 2014—were expected to negate high seasonal activity. On April 7, TSR issued their second extended-range forecast for the season, lowering the predicted numbers to 12 (±4) named storms, 5 (±3) hurricanes, 2 (±2) major hurricanes, and an ACE index of 75 (±57) units. Three days later, CSU issued their first outlook for the year, predicting activity below the 1981–2010 average. Citing a likely El Niño of at least moderate intensity and cooler-than-average tropical Atlantic sea surface temperatures, the organization predicted 9 named storms, 3 hurricanes, 1 major hurricane, and an ACE index of 55 units. 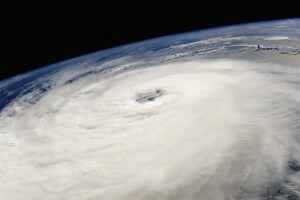 The probability of a major hurricane making landfall on the United States or tracking through the Caribbean Sea was expected to be lower than average. On May 16, the United Kingdom Met Office (UKMO) issued a forecast of a slightly below-average season. It predicted 10 named storms with a 70% chance that the number would be between 7 and 13 and 6 hurricanes with a 70% chance that the number would be between 3 and 9. It also predicted an ACE index of 84 with a 70% chance that the index would be in the range 47 to 121. The following names will be used for the first three storms that form in the North Atlantic in 2014; Arthur, Bertha, Cristobal.